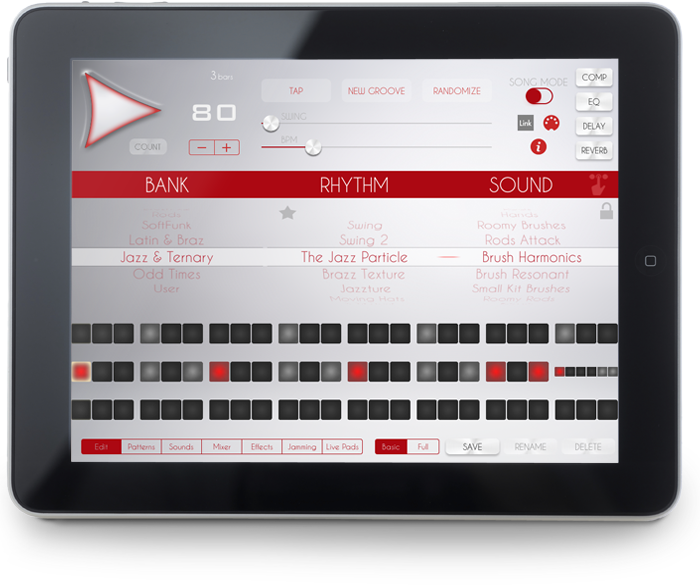 More than a drum machine, Soft Drummer improvise musically like a real drummer and you can set the jam level just moving a slider. Also it’s possible to fix any drum component while the others play variations. The new Live Pads lets to play live sessions on the way with 8 assignable pads and buttons for fills, intro, end with midi controls. The fastest and most effective Song Mode to make drum structures for your songs. Adding parts choosing rhythms, bars, jam intensity, fills and cymbals you will make your song in seconds! Play in time with Ableton Live! 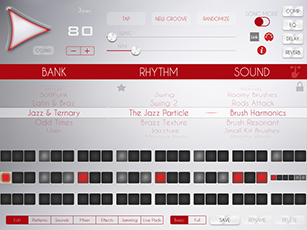 Soft Drummer is the closest thing to a pro session subtle drummer in your pocket. Easy to use and fast, it's much more than a drum machine because it can improvise musically with the most pure acoustic drumming sound, played with brushes, hot rods and hands, giving warmest grooves for jazz, soft pop, ballads, latin, etc... The new Live Pads lets to play live sessions on the way with 8 assignable pads and buttons for fills, intro, end with midi controls. And now, you can synchronize with any app easily with Ableton Link.